When many people outside of the country think of US cuisine, they tend to often think of American fast-foods and fast food brands - hamburgers, cheeseburgers, hot dogs, and so forth. The United States however is a very large nation, with many different diverse regions, is home to people whose forebears came from all of the world, and thus has developed a very and varied culinary traditions. The various regions and cultural groups within the country are known for the differences in ingredients, and culinary influences. For example, New England cuisine is known for its seafood (especially lobsters), Cajun and Creole cuisine (mostly eaten in the state of Louisiana) is known for its adaptations of French cuisine's traditions, Southwestern cuisine has adopted many ideas from Mexican cuisine, Hawaiian cuisine often combines Western and Polynesian traditions with recipes adapted from Asian cuisine, and Puerto Rican cuisine often combines traditions from Spanish cuisine with ideas from Caribbean cuisine. Chicago-style pizza - This is very deep-dish pizza that originates from the city of Chicago. 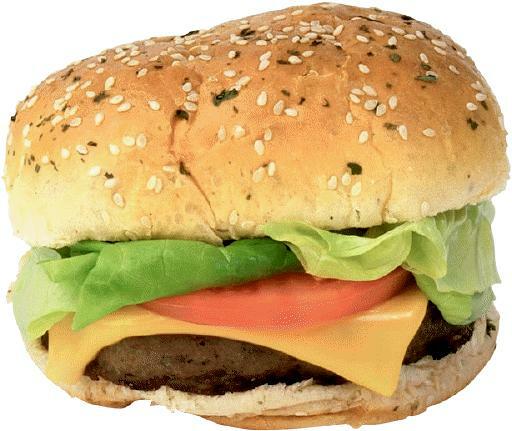 Cheese Burger - A bread roll containing a cooked beef patty, a slice of melt cheese, and usually salad, condiments, and often a slice of bacon or ham. 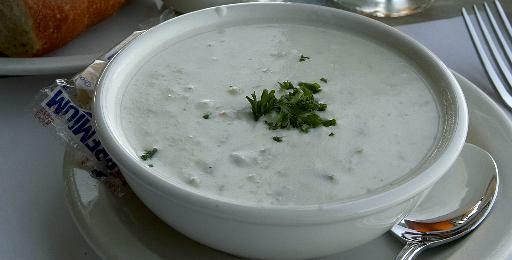 Clam chowder - This is a cream- or milk-based soup, also containing clams, flour, onions, potato, and bacon or salt pork. In New York, tomatoes are added to the dish ("Manhattan clam chowder"), whereas in New England adding tomatoes to New England clam chowder (known in some parts of the US as "Boston clam chowder") is considered a serious faux pas. Club Sandwich - A triple bread-toasted sandwich made from three slices of toast. Three are two layers of toast, one that contains chicken or turkey breast, and a second containing bacon, lettuce and tomato. Sometimes the fillings are varied, or other items may be added such as cooked egg or cheese. Congealed salad - This is a salad made from flavored gelatin in which are embedded fruit, grated carrots, and sometimes other vegetables. Cream cheese, marshmellows, nuts, or pretzels are also sometimes added. Corn dog - A hot dog, covered in cornmeal batter, and then deep-fried or baked. 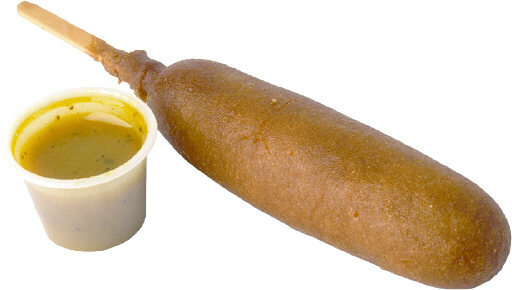 Corndogs are usually served on wooden sticks, and are usually eaten with ketchup, mayonnaise, mustard, or a relish. Eggs Benedict - This is a simple dish made from half an English muffin, which is topped with bacon or ham, poached eggs, and Hollandaise sauce. There are numerous mutually contradictory stories as the origin of the dish. Fried chicken - Chicken coated in seasoned flour and then deep-fried. 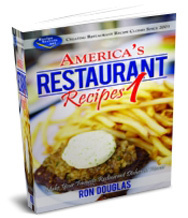 Fried chicken recipes are especially popular in Soul Food and Southern cuisine. Grits - A thick maized-based porridge originating in southern cuisine. Grits can with breakfast, or served as a side dish with dinner. Gumbo - Gumbo is a soup made from bell peppers, celery, onion, and meat or fish stock. It is thickened with dried ground sassafras leaves ("filé powder), okra, or roux (wheat flour and fat). The soup usually contains assorted assorted meat, smoked pork or sausage, and shellfish. 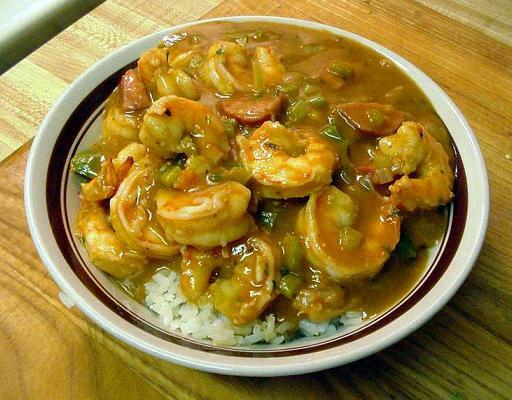 The dish originates from Cajun and Creole cuisine, but has also become popular along the whole coast of the Gulf Mexico, and is available in numerous Soul Food restaurants too. 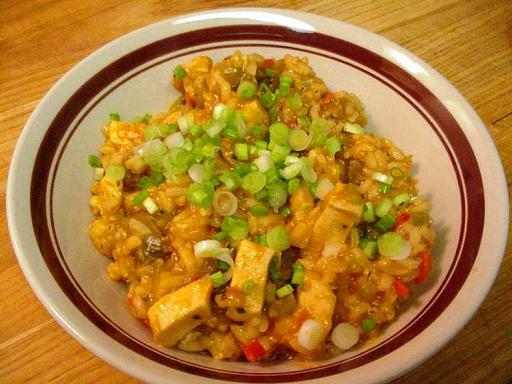 Jambalaya - This is Cajun and Creole cuisine's adaptation of Spanish cuisine's paella. It uses tomatoes instead of saffron for flavoring (since saffron was hard to obtain in the New World), and as well as rice contains assorted local meat, seafood and vegetables. Key lime pie - This dessert is made from key limes (which are small limes native to the Florida Keys), egg yolks, and sweetened condensed milk, all in a pie crust. 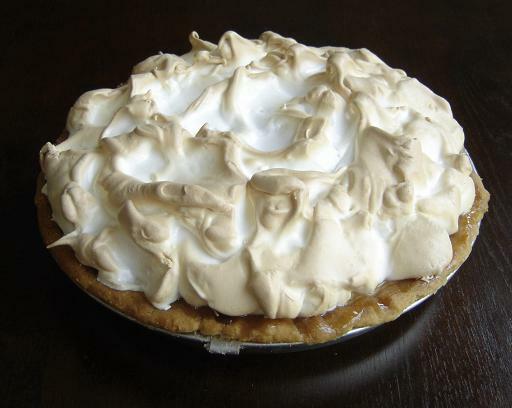 Egg whites are also often used to make a meringue topping. The dish is made from condensed milk rather than fresh milk, because in the days before refridgeration, it was hard or impossible to obtain fresh milk in the Florida Keys. Laulau - This dish from Hawaiian cuisine is a modern adaptation of a traditional dish. It is made from salted butterfish and meat (beef, chicken or pork), all placed in a taro leaf. Laulau is usually served with rice and a macaroni salad. New York-style pizza - This is a style of pizza that originates in New York city. The pizza is made into large very thin wide slices, which are folded in half when eaten. Poke - This salad originates in Hawaiian cuisine. It contains raw fish, fly fish roe ("tobiko"), tofu, onions, scallions and tomatoes. The salad is flavored using chiles or red pepper, sea salt, sesame oil and soy sauce. Pumpkin pie - This is a dessert pie containing a pumpkin-based custard. It is flavored with spices such as cinnamon, cloves and ginger, and is traditionally served with whipped cream. 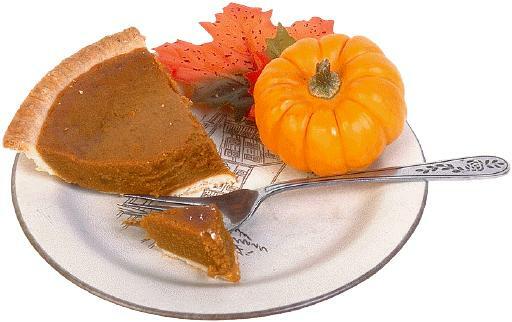 Pumpkin pie is generally eaten at Christmas, Thanksgiving, and Halloween. Spam teriyaki - Spam (the canned meat product by the Hormel Food Corporation) is very popular in Hawaii. Hawaiian cuisine has also adopted Japanese cuisine's teriyaki style of cooking (cooking meat in a sweet soy sauce, known as "teriyaki sauce"), and the two have thus been combined to create spam teriyaki. Shrimp Creole - This dish from Creole cuisine is shrimp in a sauce made from tomatoes, celery, onion, and bell peppers. It is spiced with pepper sauce and then served on top of rice. Sloppy Joes - This is an open sandwich served on a burger bun. It contains a filling is made from ground (minced) beef, onions and a sweet ketchup-based sauce. Versions of the dish are served all over the United States, but in some parts of the country, it may be known by other names. Succotash - This dish's origins can be traced to native American cuisine. 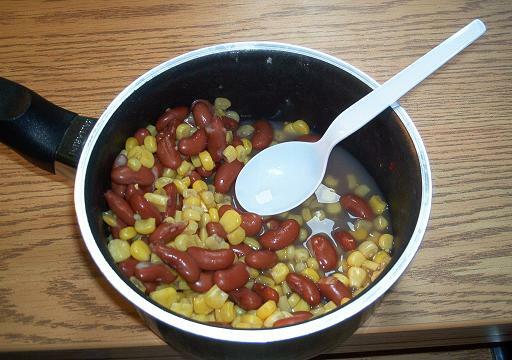 It consists of butter beans, corn, and tomatoes cooked in butter. Waldorf salad - This salad takes its names from the Waldorf Hotel (precursor of the Waldorf-Astoria Hotel) in the city of New York, where the dish was first invented. It contains slices of apple, celery and walnuts in a mayonnaise sauce. From Jill Winger, the creator of the award-winning blog "The Prairie"
The Pioneer Woman Cooks meets 100 Days of Real Food, on the Wyoming prairie. While Jill produces much of her own food on her Wyoming ranch, you don’t have to grow all―or even any―of your own food to cook and eat like a homesteader. Jill teaches people how to make delicious traditional American comfort food recipes with whole ingredients and shows that you don’t have to use obscure items to enjoy this lifestyle. And as a busy mother of three, Jill knows how to make recipes easy and delicious for all ages. These 109 recipes include her family’s favorites, with maple-glazed pork chops, butternut Alfredo pasta, and browned butter skillet corn. Jill also shares 17 bonus recipes for homemade sauces, salt rubs, sour cream, and the like―staples that many people are surprised to learn you can make yourself. Beyond these recipes, The Prairie Homestead Cookbook shares the tools and tips Jill has learned from life on the homestead, like how to churn your own butter, feed a family on a budget, and experience all the fulfilling satisfaction of a DIY lifestyle.